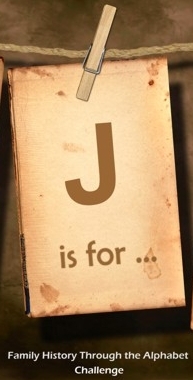 This week's 'Family History Through the Alphabet' challenge focuses on the letter 'J'. Monumental Inscriptions from Selected European Graves in Burial Grounds in Java 1700-1939, by Rhonda Kerr, has inscriptions in European languages other than Dutch. Dutch inscriptions are included only if the person was born outside Java or Holland. This information is from my book Specialist Indexes in Australia: a Genealogist's Guide. There is another 'J is for...' post in my Queensland Genealogy blog. More tips for family history are in my other articles in this A-Z series. If the information and advice is useful, have a look at this page.